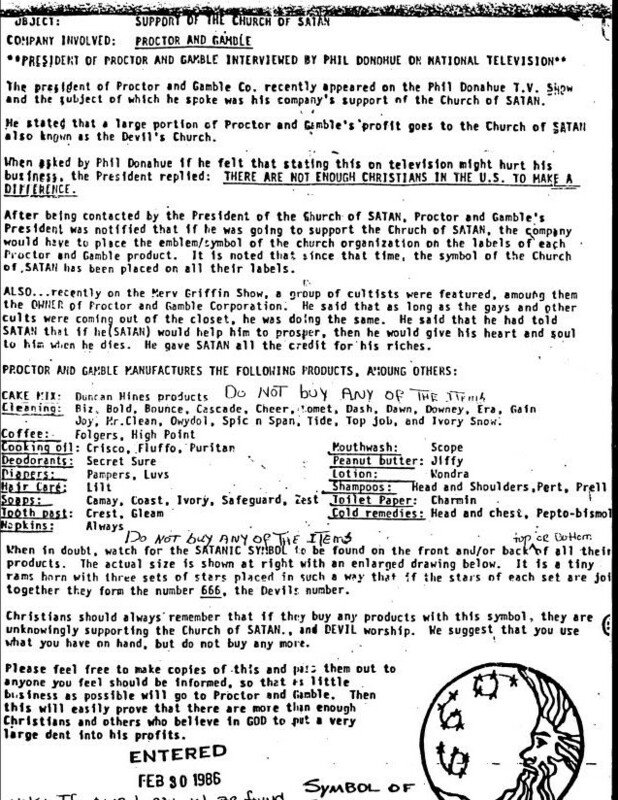 A detailed discussion of the origin and early history of the "Send-a-Dime" craze of 1935 - the first manifestation of money chain letters and pyramid schemes. It is shown that the Send-a-Dime letter was in part modeled on a prior type of luck chain letter. The likely author of Send-a-Dime was an anonymous woman motivated by charity. This constitutes a section of Chain Letter Evolution, but can be read independently. Individual html web pages for over 1000 chain letters arranged by motivational category and date. Categories include luck chain letters (600 examples), money, advocacy, "Letters from Heaven", charity, and exchange. Some unusual items: an anonymous 1917 chain letter giving advice on obtaining conscientious objector status; a 1920 Sinn Fein revolutionary communication; rare scatological parody letters from 1935; a chain letter invitation to a suicide from 1937; apparently the only complete text of the famous Circle of Gold pyramid scheme, this from England, 1982; a libelous Proctor and Gamble boycott alleging satanism from 1986. An annotated index provides easy access to all chain letters in the archive. Chain letter citations in Chain Letter Evolution link to this archive. Four personal letters to a male admirer from a woman abandoned by her husband. "Yes dear, I will come there if you send me money." A matchmaking letter from an engaged woman to a Yale student and his enthusiastic response, "provided if she is musical." Four personal letter sent to Miss Helen Porter in Detroit. The first is an unsuccessful proposal of marriage. "I hope you don't think me foolish." A selection of facts, theorems and methods utilizing homogeneous coordinates. This is a companion article to "Homogeneous Transformation Matrices" and provides methods sufficient to derive all the matrices presented there. Other topics include: n-dimensional oriented content, intersections, and projection. SANTA is a decentralized communication process opposing deceit and exploitation of children by the media. We use only education, rebuke, and satire. No person's name may be mentioned. Anyone who loves the truth and obeys these rules may fully participate in SANTA. Mathematician & amateur folklorist. Universal Human Rights, kindness to animals, truth for its own sake, peace, anti-fundamentalism. Graffiti. The more we cruel we talk - the less enemies surrender - the more all of us die. Maybe our ancestors knew something when they fought battles on a field outside of town. We all fight like Nazis now. The lapse of honor by the West in the overthrow & murder of Gaddafi now haunts us. Love is not all we need, but it is what we need most. When money rules who is free? Tax the idle job creators. At least the secular humanists never burned a witch. Talk radio conservatives are NOT fascists. The lies are different this time. Creativity favors the Left in music, drama, poetry, and art. But it favors the Right in slander. Are we great yet? / The universe is made of protons, neutron, electrons, and morons. Northern Sun t-shirt slogans. Heave an egg out of a Pullman window, and you will hit a Fundamentalist almost anywhere in the Unites States. H. L. Mencken, 1925. Those who lack imagination can not imagine what is lacking. Graffito, Paris, May 1968. In the future world, only the children will be privileged. Graffito, Santiago, Chile, 1970. Several poems and fragments given to me by an anonymous hitchhiker in 1973. They express his painful discovery that his mother could no longer help him, and that his counter-culture friendships and drug experiences were fleeting and duality ridden. A tribute to a close friend who served with me in the Army in Korea in 1963 and was killed in action in Vietnam in 1968. Have you ever heard of this local radio program from around 1950, probably broadcast from San Jose, California? 7/18/1992, 8:22 AM. Oxnard. From journal, volume #17. "Dreamed about a piano tuning last night. A child wanted to play while the tuner worked. I told the child he couldn't do that, that it broke the tuner's concentration. Then this morning, just now, a piece finally ended on KPFK-FM. The host said he had a couple calls, and that one was from a piano tuner. This was the first sentence I heard this morning - the music had been playing before." Perhaps it is a fundamental principle of awareness that some "events" noisily sustain or replicate themselves if there is an opportunity. If so, it is difficult to explain why those events are perpetuated in some form and others may not be. But it is just as difficult to explain why we may remember certain things in our own lives that have no significance, like a bad joke heard many years ago. That most events seem transitory may be due to a pervasive disruption of replicative opportunity, just as omnipresent friction in our earthly environment obscures our awareness of Newton's first law: that objects retain uniform motion unless acted upon by a force. Advocates free placement of the chess pieces to form a starting position, and the addition of "Chinese" pieces: the Pao or Cannon, Vao and Leo. 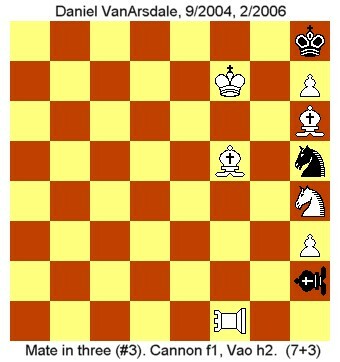 These move like an orthodox Rook, Bishop and Queen respectively, but must pass over a piece of either color to capture. Presents ten new chess problems composed by the aurthor using Chinese pieces. For each problem there is a link to its solution. Dodgson's 'Frogs Manuscript' Decoded - an apocryphal Lewis Carroll legacy purported to have been recently decoded. Employ the Dead - Sam Loyd's Dummy Promotion problem.